Ranum, Patricia M. "A Sweet Servitude: A musician's life at the court of Mlle de Guise," Early Music, 15 (1987), pp. 347–60. Ranum, Patricia M. "Lully Plays Deaf: Rereading the Evidence on his Privilege," in John Hajdu Heyer, ed., Lully Studies (Cambridge, UK: Cambridge University Press, 2000), pp. 15–31, which focuses on Charpentier's powerful contacts. ↑ "His Birth Year". Ranumspanat.com. สืบค้นเมื่อ 2014-08-14. ↑ Patricia M. Ranum, Portraits around Marc-Antoine Charpentier, pp. 190–201, 552ff. ↑ "New Portrait". Ranumspanat.com. สืบค้นเมื่อ 2014-08-14. ↑ Patricia M. Ranum, Vers une chronologie des Œuvres de Marc-Antoine Charpentier (Baltimore, 1994); Patricia M. Ranum, Portraits around Marc-Antoine Charpentier, pp. 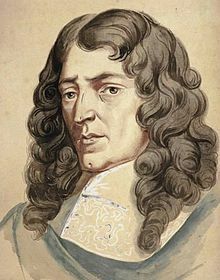 81–88; Patricia M. Ranum, "Meslanges, Mélanges, Cabinet, Recueil, Ouvrages: L'entrée des manuscrits de Marc-Antoine Charpentier à la Bibliothèque du roi," in Catherine Cessac, ed., Marc-Antoine Charpentier, un musicien retrouvé (Sprimont: Mardaga, 2005), pp. 141–54. ↑ "A newly identified autograph tre". Ranumspanat.com. 2013-05-09. สืบค้นเมื่อ 2014-08-14. หน้านี้แก้ไขล่าสุดเมื่อวันที่ 2 ตุลาคม 2558 เวลา 23:22 น.